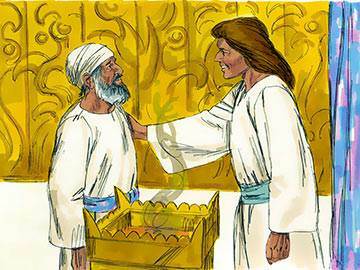 John the Baptist: "God is gracious"
Zechariah, an elderly priest, is chosen by lot to enter the inner sanctuary of the Temple and minister at the altar of incense when he is confronted by the archangel Gabriel. The angel announces that, despite her advanced age, Zechariah’s wife Elizabeth is to bear him a son whose name will be John. A promise is also given that John will be filled with the Holy Spirit from his birth, and that his mission is to prepare Israel for the coming of the Messiah. Zechariah, despite his deep spirituality (vs. 6), finds this difficult to believe and expresses his doubt to the angel. 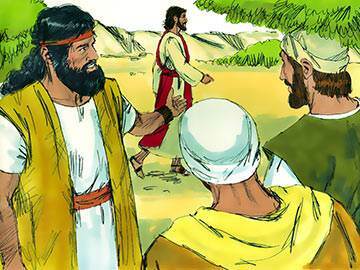 As a result of his unbelief, he is struck dumb and remains like this until after John is born. John was the last of the Old Testament prophets, and his name, “God is gracious”, had special significance, indicating that a new age was dawning in Israel—the age of grace. The archangel Gabriel promised Zechariah that John would be filled with the Holy Spirit from his birth, and that he would turn many to God. 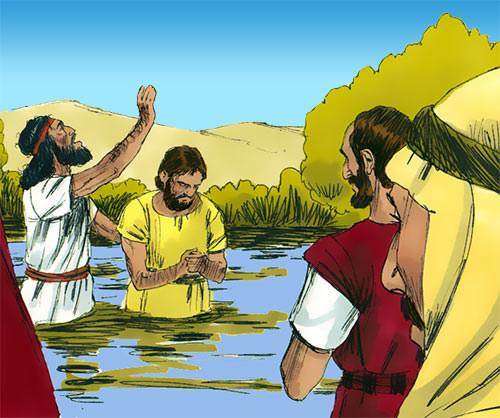 John’s ministry and conduct show quite clearly that this promise was abundantly fulfilled, as under the Spirit’s direction he calls huge numbers of Israel’s population to repentance and baptism in water. John prefers the life of an ascetic and makes his abode in the wilderness, drawing his congregations from Jerusalem and the area around the lower Jordan. “Every great person”, said William Ward, “has first learned how to obey, whom to obey and when to obey.” There can be little doubt that obedience was the key to John’s spiritual greatness. It is the key to your spiritual success also. Is there an area in your Christian life where you have not obeyed? Then put things right today. 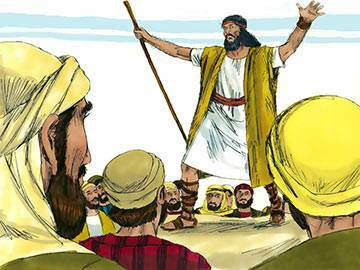 John’s extremely large congregations included such people as tax collectors and soldiers, as well as members of the two main religious groups, the Pharisees and Sadducees. He addresses his hearers in strong and forthright language, and insists on them showing the evidence for their repentance by being baptised in the Jordan and in their changed lives. His main message to Israel is that they must not trust in their relationship with God for salvation, but that they must personally take their place before Him in genuine humility and repentance. 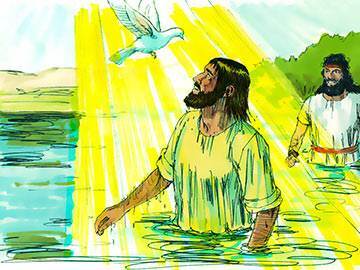 He promises them that when the Messiah comes, He will baptise them, not in water, but with heavenly fire! Preaching has been defined as “a manifestation of the living Word, by the written Word and through the spoken word.” John the Baptist most certainly achieved that. Pray right now for your own minister and his pulpit ministry. Ask God to help him draw people closer to Christ. The forthright ministry of John succeeds in drawing large crowds of people from all over the nation to the banks of the lower Jordan and this, in turn, causes the Jewish authorities to send men to examine his credentials. When asked to give an account of himself, John describes himself merely as a ‘voice’. “My task,” he says in effect, “is to call attention to the One who is to come… whose sandals I am not worthy to untie”. 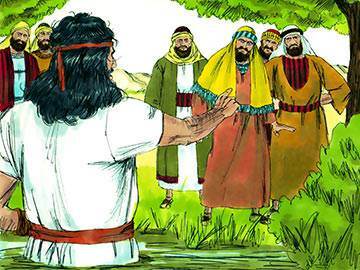 John denies any suggestion that he is a reincarnation of Elijah or that he is the prophet they are expecting (Deut. 18:18). One theme dominates the heart and mind of John: how to make himself appear smaller and the Messiah appear bigger. “Humility”, said a woman to a preacher after he had expounded the subject in a sermon, “is one of my greatest assets.” Sounds like she had missed the point! “Really great men”, said John Ruskin, “have the feeling that greatness is not in them, but through them.” Do you agree? 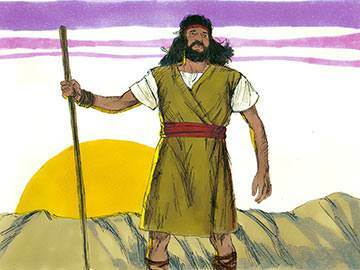 John the Baptist wore “a garment of camel’s hair”. Still today Bedouin wanderers and shepherds wear an “abayeh”—an outer cloak or mantle made of hair from a goat or camel. 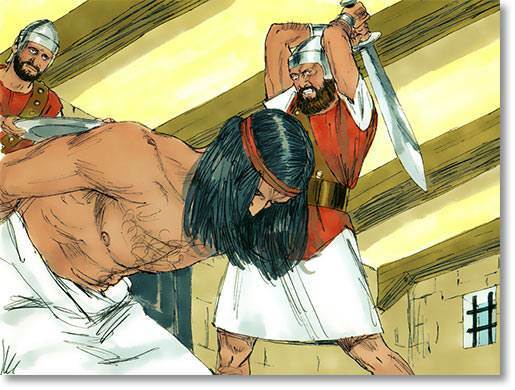 The hair is clipped from the neck, back and hump of the camel and woven into cloth. The cloak lasts a lifetime. It protects the wearer against heat by day and cold by night, as well as rain and dust. It could be used as a carpet or as a tent. John lived on wild honey and locusts. An invasion of locusts can be disastrous, for they settle on crops and trees and devour everything, but locusts can also be eaten for food. They are caught in the morning when they are numb with cold or their wings wet from dew. Although usually boiled in salt water or roasted, they are sometimes dried in the sun, ground into powder, mixed with honey and made into cakes. 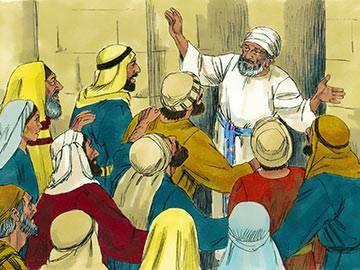 John not only preached to the multitudes, but he appears to have had access to the court of Herod Antipas, who recognises him as a righteous and holy man (Mark 6:20). Herod seems to find John’s words fascinating, and yet perplexing. 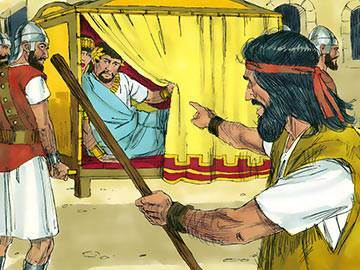 When John fearlessly denounces Herod for marrying his brother’s wife, he is thrust into prison in the hope that he will be silenced. John’s denunciation of Herod’s marriage causes his wife, Herodias, to become angry and she decides to bring about his death. This desire, however, is thwarted by Herod until she traps him into ordering John’s execution by way of a rash oath Herod makes to her daughter after she has danced for him. 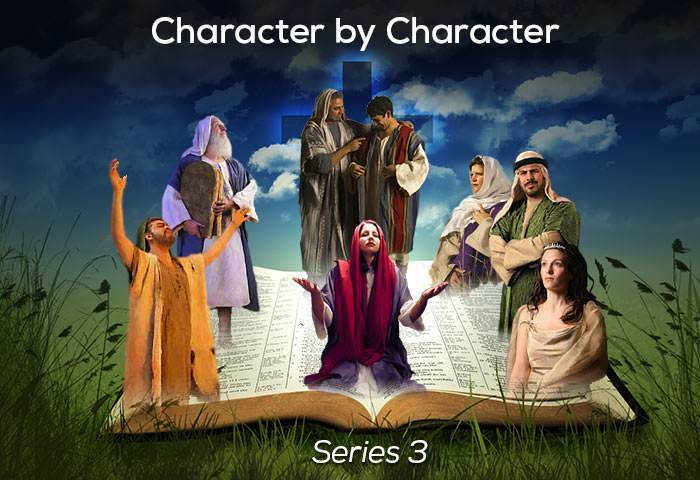 “Holy in character”—what a testimony! Holiness really means ‘healthiness’. And character? Someone said, “Character is what a person is in the dark.” Ask yourself right now: am I a ‘healthy’ person? And what am I like in the dark? John, having made clear in his message that he is neither Elijah returned to earth, nor the expected prophet, nor the Messiah, now proceeds to identify Jesus of Nazareth as the true Messiah and begins to proclaim this truth in the most decisive terms. He rejoices in the fact that Jesus’ public ministry begins to flourish, and affirms in even clearer language than before that he is only the forerunner of the Son of God and is totally reconciled to the idea of Christ’s ministry eclipsing his own. He makes clear also a fact that must have staggered some of the Jews of his day—that Christ’s ministry was not to take away merely the sins of a nation, but the sins of the world. If you were arrested on the charge of being a Christian and given three minutes to give your testimony, what would you say? Would it be as clear as John’s testimony to Christ? If you can, sit down today and write out your Christian testimony in about 500 words. Then read it to a friend or family member for comment! 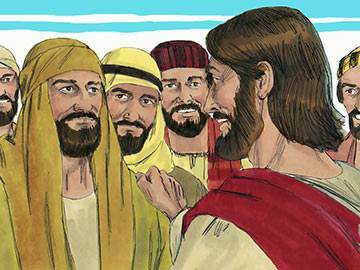 Jesus encourages John’s disciples to carry back to John the news that they have themselves seen the evidence for Christ’s deity in the miracles which He is performing. He also gives them a Scripture passage to convey to John—Isaiah 35:5-6—verses that John would doubtless recognise as confirmation that Jesus was truly who John first thought Him to be: Messiah, the Son of God. Do you ever find yourself doubting your Christian experience? Then don’t worry. “Doubt”, as Os Guinness puts it, “is faith in two minds.” Do as John did with his doubts—bring them to Jesus. Lay them at His feet and ask Him for an encouraging and reassuring word. Jesus paid tribute to many people in His ministry, but no honours were greater than those which He conferred on John the Baptist. Listen to some of the statements Christ made concerning him: “A burning and shining light” … “more than a prophet” … “the greatest born of women”. John’s spiritual stature and character are obvious to anyone who reads the account of his life, but the main lesson we learn from studying him is that of self-effacement. We have seen this quality in other Bible characters also, but nowhere more clearly than in John the Baptist. In these days when there are so many ‘star performers’ in the Christian Church, how important it is to be reminded that we can never commend Jesus and ourselves at the same time.